The Daily Tribune is on again in attacking Senator Antonio Trillanes IV. This time, for the senator calling President Rodrigo Duterte a coward. 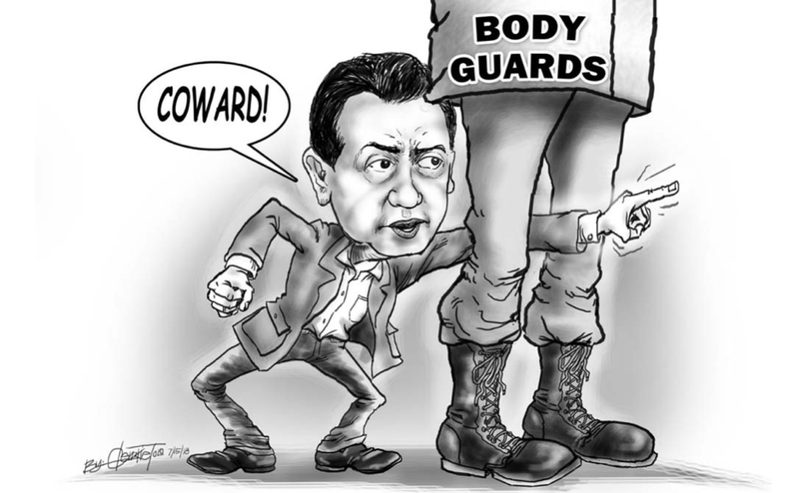 The Daily Tribune called Trillanes a “certifiable coward” after the senator was stripped off his "excess" bodyguards from the Philippine National Police (PNP) and the Armed Forces of the Philippines (AFP), to which Trillanes responded negatively. The Daily Tribune was quick to point out that bravery, in this case, should not be reliant on the number of guards you had. They challenged Trillanes that if he truly is brave as he says he is, then he should be able to handle his guards taken away. "If Trillanes claims he’s tough and brave by branding others cowards, he could let go of the four bodyguards provided him by PNP and AFP. That’s what a brave man will do," TDT said. Magdalo, instead has the job of protecting Trillanes. The Daily Tribune also pointed this out, saying that Trillanes should simply stick with his Magdalo guards. They add that Trillanes is truly the cowards. Even bringing up the instance where the senator stormed out of a hearing when he got into an intense argument with Enrile. Ending the article, they attacked Trillanes as well for the role he played with the back talks the Philippines had with China under the administration of Benigno “Noynoy” Aquino III. It is clear that the Daily Tribune has ill feelings towards Trillanes and his actions against the Duterte government. 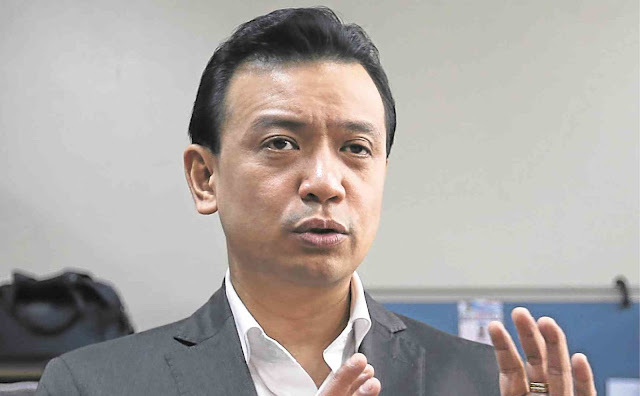 Sen. Antonio Trillanes is all talk, his words have nothing but hot air. Take this case: He called President Rodrigo Duterte a “coward,” a branding that quickly backfired. What part of “excess” did Trillanes find hard to understand? In the first place, why need PNP and AFP guards over and above what other politicians are assigned with? If Trillanes claims he’s tough and brave by branding others cowards, he could let go of the four bodyguards provided him by PNP and AFP. That’s what a brave man will do. If he is too cocky about his Magdalo bodyguards’ protection, then he should stick with his pals. After all, hasn’t Magdalo gained a reputation as a “gang which could not shoot straight” for its pathetic attempts at bringing down then President Gloria Macapagal-Arroyo? Here we have a senator who, as a desk-bound Navy officer, led a coup d’ etat against Arroyo but went after a hotel and not the seat of power — Malacañang. Can anything be funnier than that? Again who’s the real coward when Trillanes, in a one-on-one on the Senate floor with Manong Johnny Enrile, stormed and chickened out of the debate over his secret trips to China as the errand boy of then President Noynoy Aquino? Enough talk of cojones though. When speaking of Trillanes, the real beef against him is his treasonous selling out of Philippine interest at the West Philippine Sea (WPS) on behalf of the yellow president Noynoy. As Enrile bared in 2012 and reiterated in exclusive interviews with Concept News Central and the Daily Tribune, the Philippine Navy was ordered to stand down from an eyeball-to-eyeball confrontation with China and to pull out from WPS after these secret trips. In time of war, treason merits a firing squad. For that, no bodyguard can save one who sold out Philippine interest to regional power China."